Victor Specialties 3-Gang Gang box has six 1/2-Inch, four 3/4-Inch knockouts at bottom, 10 knockouts at side and four knockouts at the end. 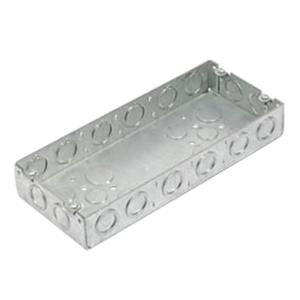 This rectangle box measures 4-1/2-Inch x 8-5/8-Inch. It has capacity of 58.5-Cubic-Inch. Box is UL listed.